"iResEditor" is open source resource editor. Can edit the resource of such as EXE/DLL files. Also, it do not upload the file to server. Done from the "Loading files" button in the top left corner of the screen. It is also possible to read by dropping a file on the screen. For of the browser specifications, IE / Edge is always a ZIP file. Outputs the edited file in the "Output of file" button. Warning message is displayed. Workaround please refer to the FAQ. 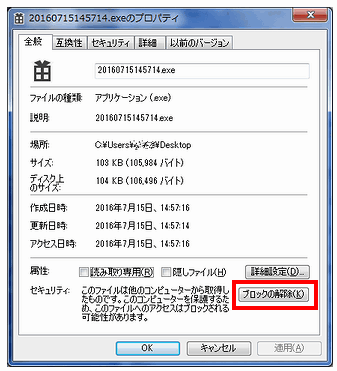 It is output in the ZIP file. Convert to RES file. "Bitmap, Menu, Dialog, String Table, Accelerator, RCData, Message Table, Version Info, HTML, Manifest, Ribbon, Toolbar" of resource. "Icon, Cursor" is image format. Is the RAW data of the state that is in the executable file. Extract the all code sections. Extract the all data sections. Gets the data section, such as global variables are defined. Extract "hidden code". Between "Section header" and "section data". Usually it has been padded with "0". Extract "hidden code". Present in the after the PE format. It is in many cases it does not exist because it is non-standard PE format. If PE file, can be loaded with an extension other than EXE / DLL. If English is funny, check the Japanese version. here. 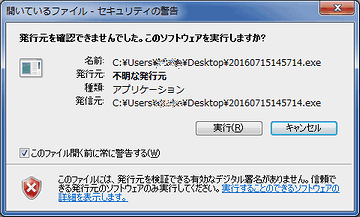 The following image is a thing of the Japanese version of Windows. To work around, press the right button of the mouse on the icon of the executable. Select "Properties" in the pop-up menu. Turn on the "Unblock" in the lower right corner of the "General" tab. Then, when you press the OK button the message will not be displayed. When you press the "Unblock" button in the lower right corner of the "General" tab message it will not be displayed. The above can be edited. By default, output from is compressed in ZIP. It is also possible to output in EXE / DLL by the setting. Executable file may have been compressed in a pack tool. such case, an error occurs. Simple judgment is doing, only UPX and AsPack. Q5. 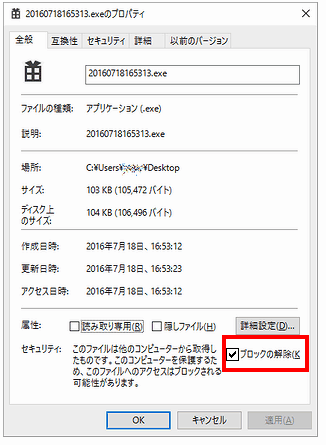 About "Icon Group" and "Cursor Group"
"Icon Group", "Cursor Group", respectively, the header information of icon and cursor location has been stored. Image data of "Icon Group" is located in the "Icon". In addition, the image data of the "Cursor Group" is located in the "Cursor". For more information about copyright is here.